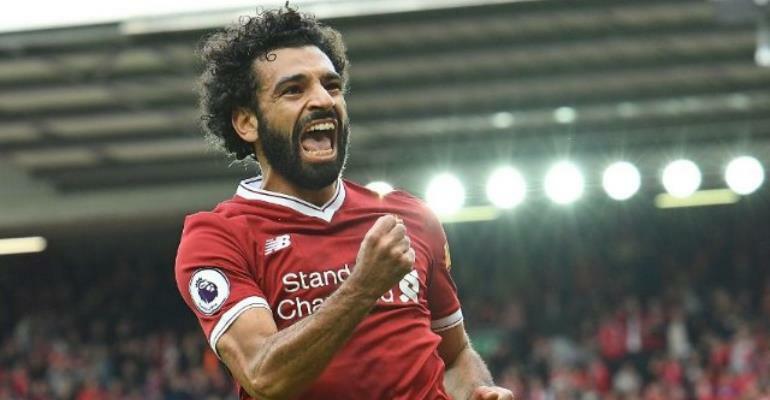 Liverpool forward Mohamed Salah says he dreams of winning the Premier League and wants to do "something special" in this season's Champions League. The Anfield club can go second in the league by beating West Ham on Saturday and lead Porto 5-0 after the first leg of their Champions League last-16 tie. Egypt international Salah has scored 22 goals in 26 league games since signing from Roma for £34m last June. "I came here to win titles," the 25-year-old told Football Focus. Ex-Chelsea player Salah made three substitute appearances totalling 30 minutes when the Blues won the league in 2014-15, ending the season on loan in Italy at Fiorentina. He spent the following season on loan at Roma before joining the Serie A side for £12m in August 2016. Salah has made a huge impact on his return to the Premier League and hopes his efforts can propel Liverpool to a first trophy since 2012. "I can tell the fans we work 100% to try and win something for the club," he said. As well as scoring 22 times, Salah has also provided seven assists in an outstanding start to his Liverpool career - but he reserves praise for his Anfield team-mates. "It's easy to play with this kind of quality," he said. "If you look at me now and five years ago, everything has changed both mentally and physically. "I'm trying to improve myself every day. I always like to put myself under pressure to improve more.